ANZ has appointed Huang Xiaoguang as its newest CEO and Head of Greater China, where he will be asked with the handling of the bank’s Chinese operations and trade, investment business. Earlier this year ANZ made moves in the region with the promotion of Ivy Au Yeung as CEO of its Hong Kong Operations. 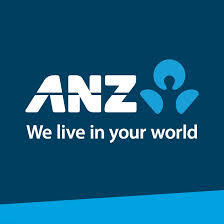 Furthermore, ANZ added Managing Director Mark Whelan to its Board. In his new role as CEO and Head of Greater China, Mr. Huang will be reporting to Farhan Faruqui, ANZ’s CEO of International Banking. Mr. Huang joins ANZ from Bank of America Merrill Lynch, having served as its President of Bank America China from 2010 to 2014. “Xiaoguang has an impressive track record in building and leading institutional banks in China and has the right credentials to help drive greater connectivity within Greater China, where trade and investment flows are already substantial and growing,” added Faruqui in an accompanying statement.